The new issue of Dabiq Magazine (#13) released today contains tributes to several fallen ISIS members, including "Jihadi John." I'm not linking to Dabiq so here's a link to a news article about it. But I am interested in some details as to his background the eulogy clears up so I will quote it. Kuwaiti Lawyer Announces No Longer Representing Emwazi, Sr.
Jassem Emwazi is a "British national who has no relation with Kuwait" except that he visits the Gulf state to see his mother. 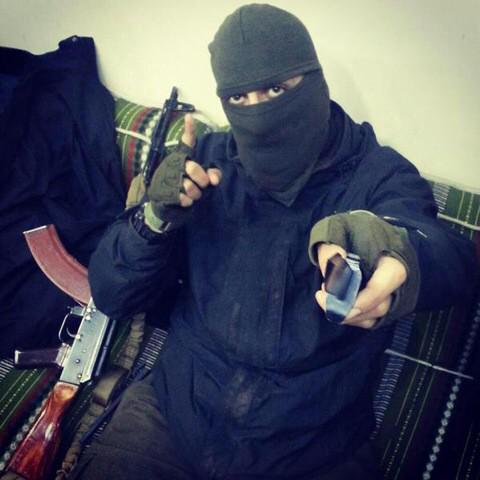 I see many news reports saying Mohammed Emwazi, aka "Jihadi John" went to Syria in 2012. CAGE says it was 2013. In early 2013, Mohammed's father suggested that he should think about changing his name by deed poll, so that perhaps the name that he had been known under thus far, might not cause him further problems as he sought to travel. He complied with his father's suggestion, and before long officially became known as Mohammed al-Ayan. With one final roll of the dice, Mohammed bought a ticket for Kuwait, and attempted to travel there. Once again, he was frustrated as he was barred from travel, and once again questioned by the security agencies. 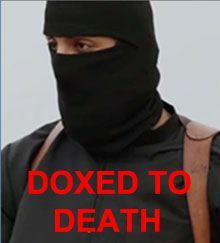 The black clad executioner known only as "Jihadi John" is back. Today ISIS released a video with a Message to Japan. The video is in English. 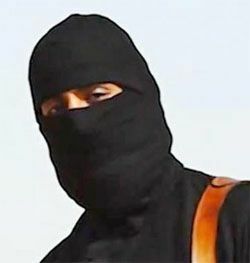 Jihadi John says as a result of Japan pledging $200 million in non-military aid to assist in the fight against ISIS, it is demanding a ransom of $200 million, one for each of the two Japanese hostages. One of the hostages, Haruna Yukawa, was shown being interrogated in a video last August. The second, Kenji Goto, is a journalist.